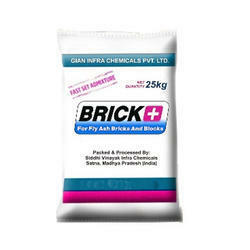 India's Best Chemical For Concrete Industry. 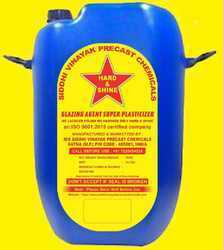 Siddhi Vinayak Precast Chemicals Private Limited. 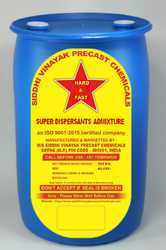 We “Siddhi Vinayak Precast Chemicals Private Limited” have gained acknowledgment in the field of manufacturing the best class Concrete Admixture Chemical, Paver Block Admixture, Paver Block Hardener and Superplasticizer Admixture. Under the supervision of our mentor “Mr. Dheeraj Pratap Singh (Director)”, we have gained a massive success in this domain. These chemicals are processed in compliance with industry set standards from the finest quality chemical compounds under the direction of our deft team members. Offered chemicals and materials are widely used at construction sites, paint, tiles, and many more industries. These chemicals are well known in the market owing to their remarkable properties such as precise composition, purity, safe usage and long shelf life. As per the different choices of the clients, we provide these chemicals in several packaging options. Quality is the main motto of our firm, therefore, we assure our clients that these chemicals and materials are rigorously checked on numerous parameters. Besides, we provide these chemicals at market leading rates. Since our beginning in the year 2015, we have constructed a well structural and modern infrastructural base that assist us in processing world-class chemicals and materials as per the global set norms. This unit comprises various sub-divisions such as admin, procurement, R & D, quality testing, sales, processing, transportation, logistic, packaging, warehousing, etc. All these sub-divisions are well resourced with essential amenities and managed under the supervision of our highly experienced and knowledgeable team of professionals. Apart from this, our positive records, client-focused approach, reasonable rates, excellent logistic facility and crystal clear business dealings have placed our firm at the top position. Brick + is a trusted brand for delivery of tailored constructive solutions especially for the industry of fly ash bricks and precast concrete solutions. The company is represented by high-quality products, expert technical support, customer service and innovation. The company had started its operations in 2015 and has continuously tread the path of growth since then. Brick+ India has 2 branch offices and requisite strength of sales personnel spread across India to meet the varied needs of the market. It has a state-of-the-art manufacturing unit based in Madhya Pradesh. Brick + India also operates within the country through a network of associates. Currently, Brick + India has a team of employees covering Sales and Marketing, R&D, Technical, Production, Finance and other functions. We are backed by advanced and ultramodern infrastructural base that helps our production team to process the beat class chemicals and materials in numerous specifications. This unit covers a large are and we have further segregated this unit in diverse sub-units like procurement, admin, sales, processing, R&D, quality testing, transportation, logistic, packaging, warehousing, etc. Well resourced with the necessary machines and tools, all these departments are managed under the supervision of an adroit team of professionals. Besides, we upgrade all the installed machines at regular intervals.